In four days the Peoples United Party will decide who will be their representative for the Capital, Belmopan. The convention should have been held in July but it was postponed in a chess move to stave off any embarrassing court judgment that could have resulted from Arthur Saldivar’s application for an injunction to stop it. 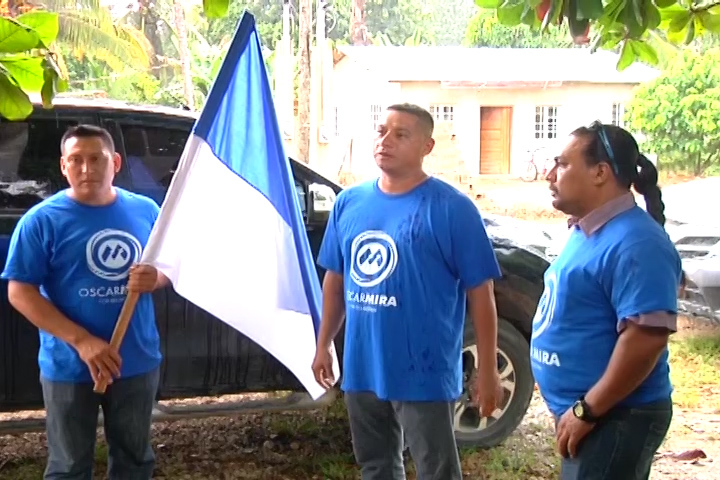 Saldivar, whose slogan is “the Belmopan Original” is also the first candidate for that municipality to be rejected twice by the PUP. 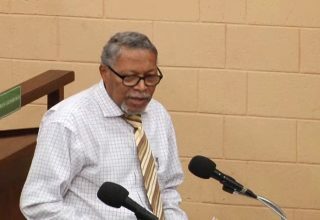 However, there is no shortage of candidates as Belmopan residents can choose from among Weisman Patt, Oscar Mira and Michelle Rodriguez as their PUP representative for the next General Elections. 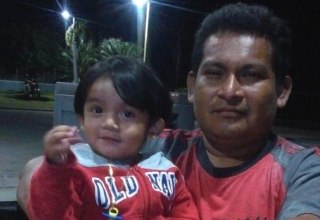 This afternoon Love News caught up with Oscar Mira in Salvapan and he believes he will be victorious. 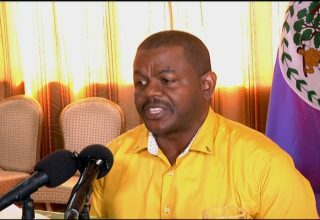 Reporter: You have campaigned in all different areas of Belmopan? Reporter: People usually say they have a good feeling but what is your true feeling based on the people that you’ve spoken to in terms of turnout ? Reporter: Do you have any predictions of numbers that may come out for the party? Also on the campaign trail is the only woman and first time candidate Michelle Rodriguez. She has the distinction to being married to a former member of parliament, Melvin Hulse. 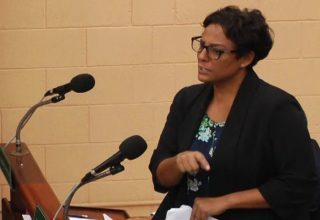 However, as someone who grew up in Belmopan, Rodriguez believes that her strategy and continuous involvement in the community will give her the edge to win the convention. Michelle Rodriguez: I have teams in every area. In Belmopan we have different areas. We have Maya Mopan, Salvapan, Las Flores, Belmopan Central and the way I have been doing it is going house to house meeting with my voters. Getting to know them because although I have lived here most of my life not everyone knows me and I believe the way to campaign is to get to know who will be voting for me or who I want to vote for me. Jose Sanchez: So in terms of the actual day now, is there a plan in place for that or are you just hoping the voters will come out. What are your expectations in regards to the work that you have put in? Michelle Rodriguez: Oh no we have the machinery in place. We have some old generals that are manning this for us and getting involved and putting things in place because being a newcomer to this I needed the guidance and support of people who have done this before and that is what we have so we are ready. Jose Sanchez: Okay and in regards to I guess it’s one party. The relationship; have you met the other candidates? Have you spoken to them? Is it easy or is it one of those things where there is hard feelings thrown in some convention. I mean for your first time how have you found it? Michelle Rodriguez: For me it’s easy, for me I have run a very positive campaign. As a matter of fact I don’t even mention the other people running. I focus on me; I want the people to get to know me and my other campaigners when we meet it’s friendly, its amicable actually. I have met with a couple of them at social gatherings because you know Belmopan is small and it’s been good. I want to ask everybody to come out on Sunday. This will be a first for Belmopan to have a woman representative and I really believe that I have what it takes to give people real representation, responsible representations so I am calling to men and women come out and vote and give me a chance. To our first time voters come out, to our youths, I consider myself a person young at heart so I can relate to them so I am asking everyone to come out and support me on Sunday. Love News was unable to catch up to the third candidate Weisman Patt. 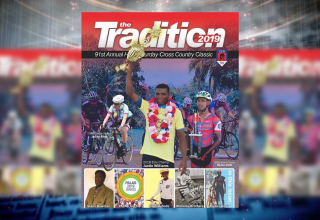 The convention will take place on Sunday at the Belmopan Comprehensive School from nine a.m. to five p.m.